Perfect Pairs is one of the most common side bets in blackjack and its variants. It is popular across Australia, Macau and London, and is offered in the majority of online casinos. The side bet is also featured in other cards games, such as baccarat. The wager is very simple to understand and thoroughly entertaining, especially for players who enjoy spicing up their blackjack hand. 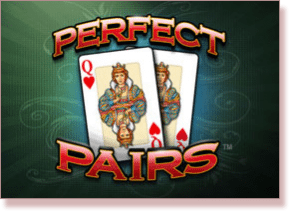 Perfect Pairs is a wager placed on whether your first two cards are going to be a pair and there are three types of pairs that warrant a payout: a perfect pair, a coloured pair and a mixed pair. Obviously, the odds off achieving any type of pair on the first two cards dealt are considerably lower than not being dealt a pair, but that is the essence of the majority of side bets; that the high risk offers a high reward. Perfect Pairs is available in most standard games of online blackjack, with the most respected casinos boasting a strong range of 21 games. Most of these online casinos will also have an option to play for free. 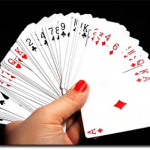 In order to put forward a Perfect Pairs wager, we must bet prior to being dealt our cards in the appropriate box. 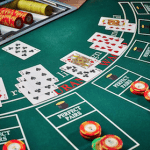 In blackjack games which offer this side bet, there will be two betting areas on the table to separate the normal wagers from such side wagers. The Perfect Pairs bet needs to be placed in the side bet zone. A Perfect Pairs bet does not have to match the amount of our regular bets, but it must be at least the minimum wager of the table. In Blackjack Plus at Melbourne’s Crown Casino, the Perfect Pairs wager can be half of the table minimum, but this is rare. If playing with others, online or offline, the side bet is able to be placed on a hand that is not your own. Blackjack games which implement this side bet are usually based on European blackjack rules and played with eight decks, though this can vary. In theory, the perfect pairs side bet can be added to any game of blackjack by altering the rules slightly. Remember, a Perfect Pairs side wager is for the initial two cards dealt, and nothing else; the dealer’s cards have no bearing on the outcome. Once all initial two cards are dealt, any Perfect Pair wagers are settled immediately, before we proceed to make any moves, according to the standard payout chart (below). The main game of blackjack continues on as normal thereafter. A mixed pair or red/black pair: The two initial cards drawn are exactly alike in face value, except for suit and colour. An example of a mixed pair would be a Nine of Hearts and a Nine of Clubs. A coloured pair: The two initial cards drawn are exactly alike in face value and colour, except for suit. An example of a coloured pair would be an Ace of Clubs and an Ace of Spades. A perfect pair: The two initial cards drawn are exactly alike (face value, colour and suit). An example of a perfect pair would be two Queens of Diamonds. Obviously, games played with a single deck do not lend themselves to such an outcome, so the perfect pairs side bet would be unavailable. Perfect Pairs is entirely based on chance, like all blackjack side bets, and those chances are slim. In a standard eight-deck game, where we have the best odds available, we have just a 1.7% chance of drawing a perfect pair and being paid out 25:1, with slightly better chances of drawing a coloured or mixed pair, at 1.9% and 3.9%, respectively. With a 92.5% chance of not drawing a pair, and significantly high house edges on each type of pair, don’t expect to make a profit in the long run with such a bet (as with any side bet), but to play it for the thrill and excitement, in the hope of getting lucky every now and then, certainly provides some additional fun.